U scan using a A3 scanner? It is so well scanned! Gorgeous! Nunnally is so beautiful in this image! I like it! wow nunnally looks so beautiful. the quality is awsome. Oh my goodness. The Code Geass art from CLAMP is simply gorgeous. 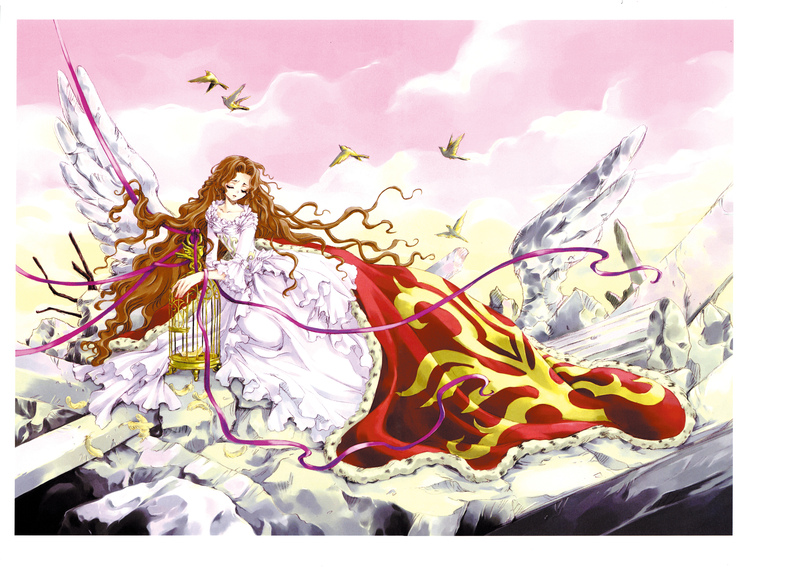 I love so many things about this image-- Nunnally's flowing hair, her voluminous skirts, the banner raped over her feet, the long ribbons drifting in the breeze, the sculptures of wings. she reminds me alot of Kotori from X/1999 in here, but with a hell of a better fate. Nunnally looks really pretty in that dress! It's very beautiful. Thanks for the share. Really beautiful. Thankies for the share! pretty ! really love the dress and the wings.. they looks really awesome ! Absolutely beautiful! Thanks for uploading. My goddness, that's just beyond stunning! Love the hair, the wings, THAT dress and her expression. So.Very.Beautiful. Thank you for the scan!